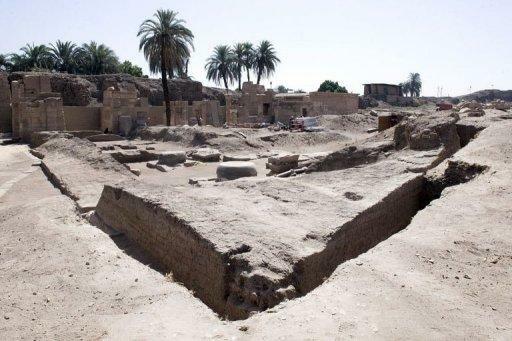 Egyptian and French archaeologists have unearthed a 2,700-year-old stone gate belonging to Nubian King Shabaka while digging near Luxor's Karnak temple, the ministry of antiquities said on Sunday. The gate, which was found to be "in good condition," once led to the room holding the king's treasures, the ministry said. "It is the first time an item of the 25th dynasty has been found in such good condition, and wasn't ruined by the 26th dynasty," Mansur Boraik, the Egyptian head of the Franco-Egyptian Research Centre of the Temples of Karnak, told AFP. The large stone door features colourful engravings that depict King Shabaka offering the goddess of truth, Maat, to the god Amun Raa, the chief deity. "The Egyptian-French mission succeeded in making important discoveries from the 18th to the 25th dynasties," minister of state for antiquities Zahi Hawass said in a statement. 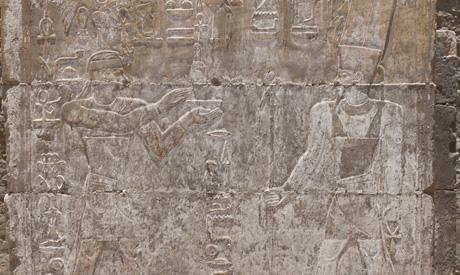 The mission also unearthed a stone wall surrounding the temple of Ptah, the chief god of the city of Memphis. His temple had been built on the site of an earlier Middle Kingdom temple, and restored by Shabaka. The Franco-Egyptian Centre has been working to open the temple to visitors next winter and plans to put Shabaka's gate on display. 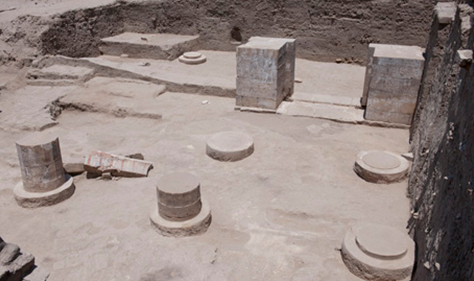 "The discovery shows that the temple of Karnak still has many secrets to be uncovered and it will do for years to come," the centre's Dominique Valbelle was quoted as saying in the ministry statement. Shabaka established the capital at Thebes and was believed to have invested great effort in restoring religious architecture.